Take a break from your exciting adventures and join fellow explorers in this respite surrounded by the wonders of nature and diverse cultures. Be awed by the exotic accommodations with rooms facing and furnished according to the four unique tropical climates of Asia, Oceania, South America and Africa Serving international cuisines from the five continents and a large outdoor pool, this hotel perfectly captures the lodge motto of “ad explorare et somniare” (“to explore and dream”). 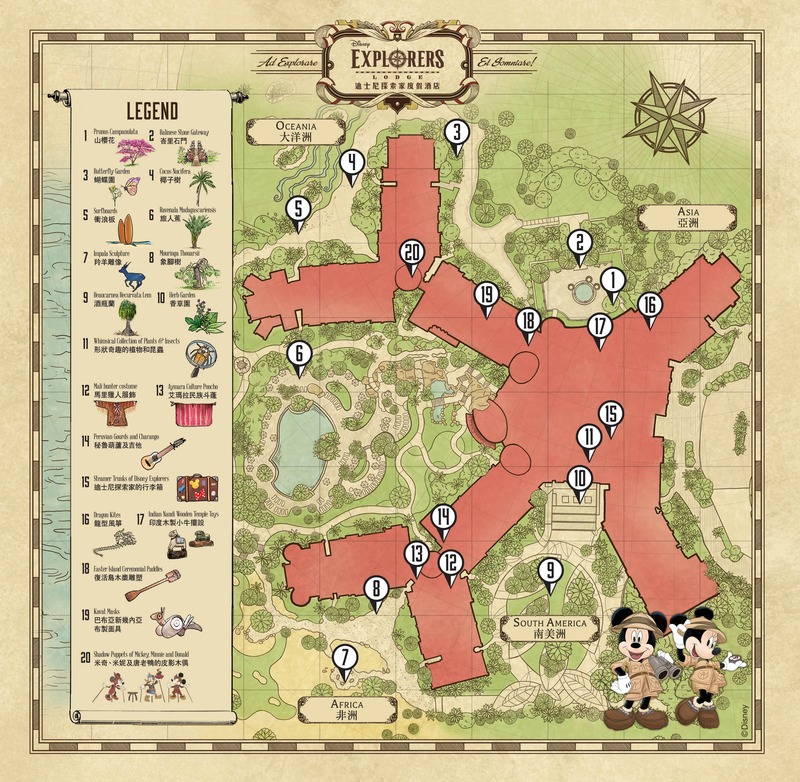 Disney Explorers Lodge is a relaxing way for guests to experience exotic cultures. The new hotel features almost 700 species of plants around the grounds and more than a thousand pieces of art and artifacts from around the world on display. The exploration route suggested here lets guests and their loved ones discover the magic and enjoy a unique getaway experience! Applicable to guests staying from May 1, 2019 to May 31, 2020. Block out Date: December 23, 2019 - January 01, 2020 and January 24 - 31, 2020. *Maximum 4 Guests. Priority entrance can be used only on the next day after check-in for the last show of the day. Show may be suspended or cancelled without prior notice. Guests who stay at Disney Explorers Lodge can upgrade their accommodation with the “Junior Explorer” decoration package at an additional price, making for an even more exotic experience! #1 day reservation in advance is required and subject to availability.